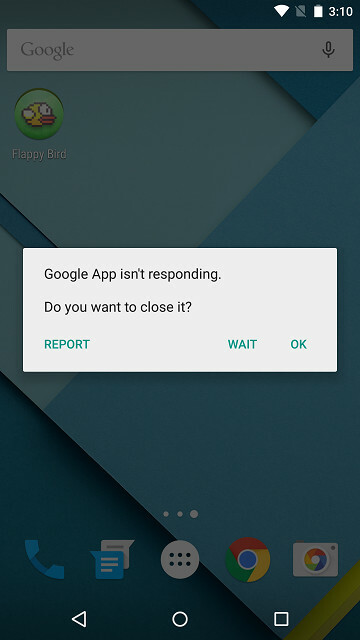 A Security flaw has been found in Android 5.x <= 5.1.1 (before build LMY48M) that allows an attacker to crash the lockscreen and gain full access to a locked device, even if encryption is enabled on the device. According to the researchers, the attacker gains the access by manipulating a sufficiently large string in the password field when the camera app is active an attacker is able to destabilize the lockscreen, causing it to crash to the home screen. 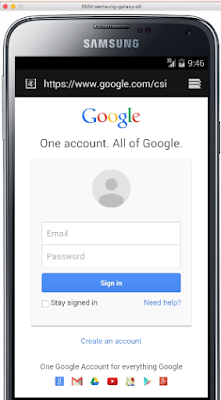 At this point arbitrary applications can be run or adb developer access can be enabled to gain full access to the device and expose any data contained therein. It is only possible when the attack must have physical access to the device. 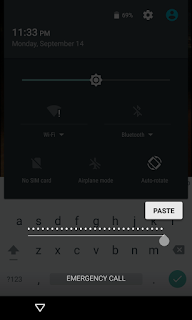 So, Android users must set password either pin or pattern. The researchers have suggested that in order to breakdown the attack, the users should open the EMERGENCY CALL window from the locked screen. Type a few characters like 10 asterisks. 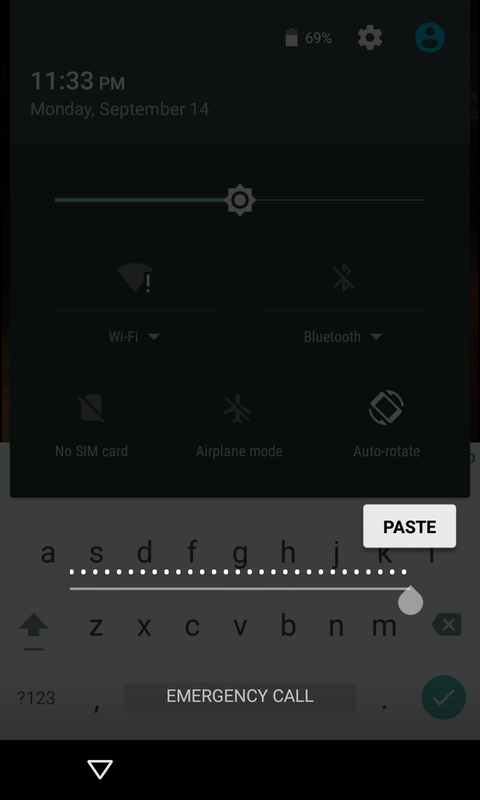 Then, double-tap the characters to highlight them and copy the buttons. Then tap once in the field and tap paste, doubling the characters in the field. Repeat this process of highlight all, copy, and paste until the field is so long that double-tapping no longer highlights the field. This usually occurs after 11 or so repetitions. A research team from IBM X-Force Research and Development, a famous commercial security research and development teams across the world, has found out that more than 55 percent of Android phones are at risk of a high-severity serialization vulnerability. Along with it, the researchers have also found several vulnerabilities in Android software development kits (SDKs), which can allow hackers to own apps. The Serialization vulnerability could allow an attacker to give a malicious app with no privileges the ability to become a “super app” and help the cybercriminals own the device. The researchers posted a video, in which shows how the malware works. “Once our malware is executed, it replaces a real app with a fake one, allowing the attacker to exfiltrate sensitive data from the app and/or creates a perfect phishing attack. We replaced the real Facebook app with a fake one called Fakebook,” the team said. Similarly, other vulnerabilities found in third-party Android SDKs and allow arbitrary code execution in the context of apps that use these SDKs. This executed code can, for example, steal sensitive information from the attacked app. “The discovered vulnerabilities are a result of the attacker’s ability to control pointer values during object deserialization in arbitrary apps’ memory space, which is then used by native app code invoked by the runtime’s garbage collector (GC),” the researchers explained. Although, the flaws have been fixed, the researchers feel that a general problem deserves a general mitigation, reducing the impact of such serialization attacks. “Since bundles are very common in Android’s IPC, we suggest changing the bundle’s behavior from one that automatically instantiates all of its values to a lazy approach, such as retrieving only the values of keys it is asked for,” the researchers added. Researchers from TrendLabs Security Intelligence have discovered a vulnerability in Android 4.3 (Jelly Bean) up to the current version, Android 5.1.1 (Lollipop) that could help an attacker to turn a phone “dead silent, unable to make calls, with a lifeless screen”. Researchers have said that the flaw would cause phones to have no ring, text or notification sounds and be unable to make calls. The researchers said that the vulnerability was similar to the recently discovered Stagefright vulnerability. Both vulnerabilities were triggered when Android handles media files, although the way these files reached the user differs. Researchers from Zimperium Mobile Security, a security firm, had discovered Stagefright in Android mobile operating system which they said to be the “worst Android vulnerabilities” to the date. “The vulnerability lies in the mediaserver service, which is used by Android to index media files that are located on the Android device,” said the company. “The vulnerability is caused by an integer overflow when the mediaserver service parses an MKV file. It reads memory out of buffer or writes data to NULL address when parsing audio data,” the blog post read. Although, the flaw was reported to the Google in May, the company concerned has been able to fix the issue. 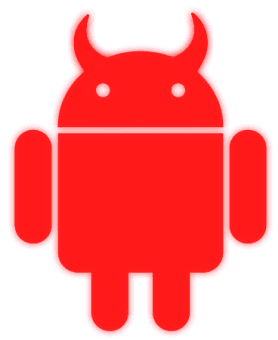 Trend Micro discovers vulnerability in Android debugger "Debuggerd"
Trend Micro has found a new vulnerability that exists in phones running Android IceCream Sandwich to Lollipop. The vulnerability in the debugging program of Android, Debuggered, allows a hacker to view the device's memory and the data stored on it. You can create a special ELF (Executable and Linkable Format) file to crash the debugger and then you can view the dumps and log files of content stored on the memory. The glitch in itself is not a big threat but the type of data it can give a hacker access to can lead to a difficult situation. Google is said to be working on a fix in the next version of Android for this. Most of the time people identify malicious websites based on the URL in the address bar. A new vulnerability allows attackers to spoof that URL in android Stock browser and trick users into supplying sensitive information to phishing websites. The vulnerability is an issue the Android Lollipop as well as prior versions. The problem is caused due to the fact that the browser fails to handle 204 error "No Content" responses when combined with window.open event, thereby allowing hackers to spoof the address bar. A proof of concept shows that in case of a site with no content which has been opened with an unpatched Android Stock browser, the users are redirected to a page with the URL "http://www.google.com/csi". This leads the user to think that it is a secure site hosted on google whereas it is a phishing site. As soon a the users enter the credentials, those are sent to attacker.com. It was reported to the Android security team by Rafah Baloch, in February. The Android team has released patches for both Kitkat and Lollipop. It is advisable that users contact the service providers to determine whether they have received the updates. 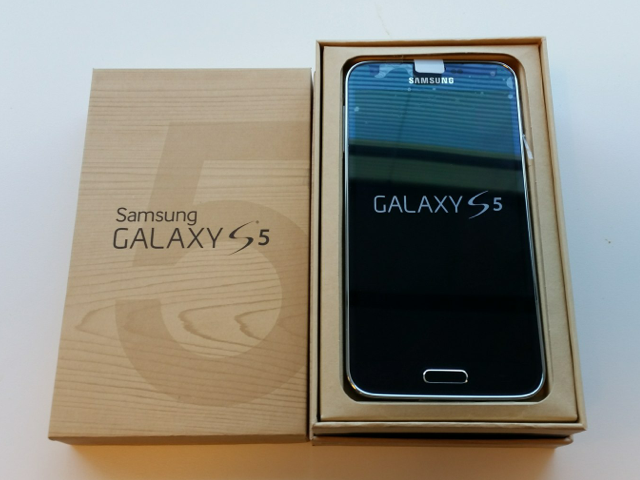 Despite the various efforts made to secure biometric information on Samsung Galaxy S5 by the Android phone makers, hackers can still take copies of fingerprint which is used to unlock the phone set, said researchers. Tao Wei and Yulong Zhang, researchers at FireEye, a security firm, said that even though there is a separate secure enclave for the information on the phone, it is possible to grab the biometric data before it reaches that safe area which allows hackers to copy people’s fingerprints for further attacks. Wei and Zhang, who conducted research on Galaxy S5 including other unnamed Android devices, will be presenting their findings at the RSA conference on April 24. The researchers said that in order to clone the fingerprints, the hackers don’t have to break the protected zone where the data is stored. They just have to collect data from the device’s fingerprint sensor. According to them, any hacker can easily clone fingerprints from the phone sets. They have to get user-level access and run a program as root. They wouldn’t need to go deeper on Samsung Galaxy S5 because the malware needs only system-level access. And once the hackers break the operating system of the phone, they can easily read the fingerprint sensor. Then, the hackers get the data from which they can generate an image of fingerprint. After that, those hackers can do whatever they want. After finding the flaw on the phone, the researchers had contacted Samsung. However, they did not get any updates or measures to fix the vulnerability from the company. They said that it is better to update Android version in order to get protected from this vulnerability because it is not resident on Android 5.0 or later versions. "Samsung takes consumer privacy and data security very seriously. We are currently investigating FireEye’s claims,” said a spokesperson for Samsung via email to Forbes. Although, there are various security concerns about biometric, it is going to be the primary form of authentication on mobile phones. It is said that Microsoft is testing out a range of biometric options for its upcoming Windows 10 operating system. However, Wei and Zhang said they only tested Android devices as of now. They said that not all of the Android phones below 5.0 with fingerprint authentication were affected but this vulnerability is likely to spread among other phone companies as well. Like HTC One Max, Motorola Atrix, Samsung Galaxy Note 4 and Edge, Galaxy S6, and Huawei Ascend Mate 7. “We only tested a limited number of devices. While we expect the issue is more widespread, we are not sure,” the FireEye spokesperson said in an email to Forbes. A Serious vulnerability has been discovered in the Android default browser(AOSP) that allows a malicious website to bypass "Same Origin Policy(SOP)" and steal user's data from other websites opened in other tabs. 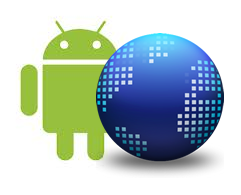 AOSP browser is the default browser in Android versions older than 4.4. SOP plays an important role in the Web Security, restricts a website from accessing scripts and data stored by other websites. For example, the policy restricts a site 'Y' from accessing the cookies stored by site 'X' in user's browser. Rafay Baloch, a security researcher, found a security flaw in the "Same Origin Policy" system used by the AOSP browser. The bug allows the website 'Y' to access the scripts and user's data stored by website 'Y'. Imagine You are visiting attacker's website while your webmail is opened in another tab, the attacker is now able to steal your email data or he can steal your cookies and could use it to compromise your mail account. "Its because when the parser encounters the null bytes, it thinks that the string has been terminated, however it hasn't been, which in my opinion leads the rest of the statement being executed." Rafay said in his blog. Rafay published the poc on his blog in August. However, it remained largely unnoticed until rapid7 released a metasploit module that exploits the vulnerability. This browser also known for the remote code execution vulnerability, has been discontinued by Google. But older versions of Android do come with this browser. Stop using the default android browser, Use Google Chrome or Mozilla. The android version of Adobe PDF Reader contains a security bug that could allow an attacker to compromise documents stored in reader and other files stored on the android's SD card. 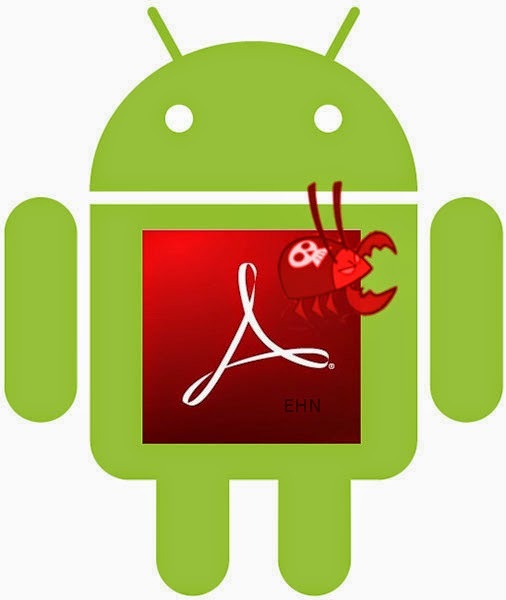 Researcher has successfully verified the existence of vulnerability in the version 11.1.3 of the adobe reader for Android. The bug has been fixed in the latest version 11.2.0. He also have released a poc code that will create '.txt' file, when an user open the specially crafted .pdf on vulnerable version of reader. Upgrading an operating system patches the security holes in the previous versions. However, researchers found a bug in upgrading process of Android itself, which can be exploited by malicious apps. 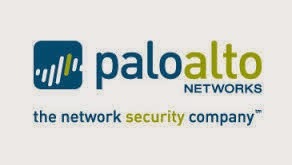 A team of researchers from Indiana University and Microsoft have published a paper explains a new critical security bugs which are referred as "Pileup flaws". The vulnerability exists in Package Management Service (PMS) of Android. When a user upgrades android to the latest version, a malicious app with few or no permission in the old version can exploit this vulnerability to update itself with new set of permissions. An attacker can exploit this vulnerability to steal sensitive information from the compromised device, change security configurations and also prevent installation of critical system services. Researchers say they have confirmed the presence of security hole on all official android versions as well as 3,000 customized android versions. Researchers also have developed a new service called 'SecUp' which is capable of detecting the malicious apps designed to exploit PileUp vulnerabilities. All Android applications contain a signature which helps the Android to determine if the app is legitimate and to make sure the apk hasn't been tampered with or modified. Security Researchers from BlueBox Labs have uncovered a new security flaw in Android that allows hacker to modify the application's code without breaking the application's cryptographic signature. It can be exploited by cyber criminals to turn the legitimate applications into Malicious apps. In a blog post, Jeff Forristal, Bluebox CTO, noted that the security flaw is particularly dangerous if hackers managed to exploit the application developed by the device manufacturers. He also pointed out that turning the apps from the device manufacturer into Malware will grant the app full access to Android system that allows hackers to gain access to email , Messages, documents, passwords and more sensitive data.